I don’t know if you’ve noticed, but fitness is all the rage right now! I don’t think I’ve ever liked a “trend” this much. Not only does it make you look good, but it also makes you feel good. And when it comes to my post-workout outfit choice, I am definitely all for comfort. After a good workout, all you would really want to do is to feel relaxed. Plus, you’re more likely to not have all that energy to get dolled up. Fortunately, for all the chic fitness chicks, Sanuk has launched the Yoga Slings, an awesome pair of sandals that is soft enough to cushion your every step, but has enough resistance to make sure your feet aren’t strutting on a paper-thin sheet of rubber—nothing like a comfortable pair of sandals to slip your feet into after sweating it out! If you’re familiar with anti-gravity yoga, which they offer at Beyond Yoga in Bonifacio High Street Central, the Sanuk Yoga Slings are actually highly reminiscent of it. 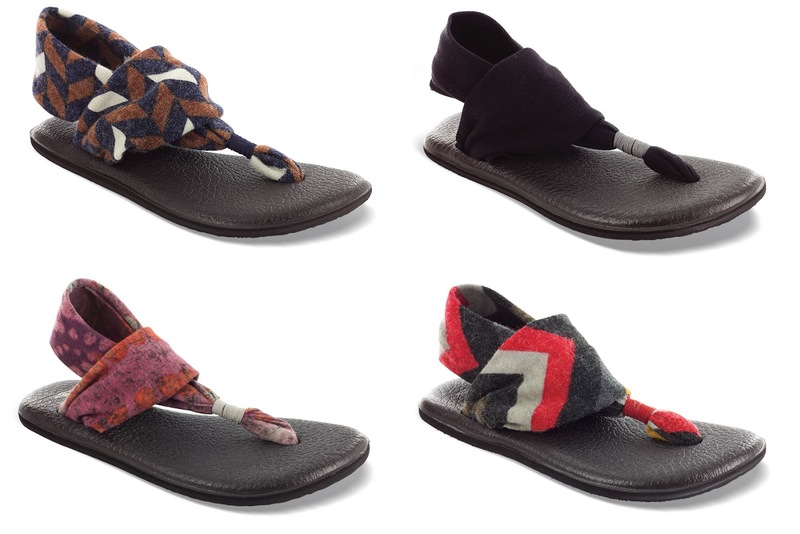 With a soft cloth wrap in various patterns adorning the sandals’ upper, it can be likened to the cloth slings that people use for anti-gravity yoga. Cool, right? My personal favorite has to be the Yoga Slings in grey.